Exercise in the comfort and convenience of your home without the cost or commitment of a gym membership. Elite Fitness will help you achieve your fitness goals with our Hire Service. Whether you are training for an event, bringing your workouts inside during cooler months, on a mission to lose weight, recovering from injury or simply want to maintain your fitness at home, we have a comprehensive range of fitness equipment to suit your needs. 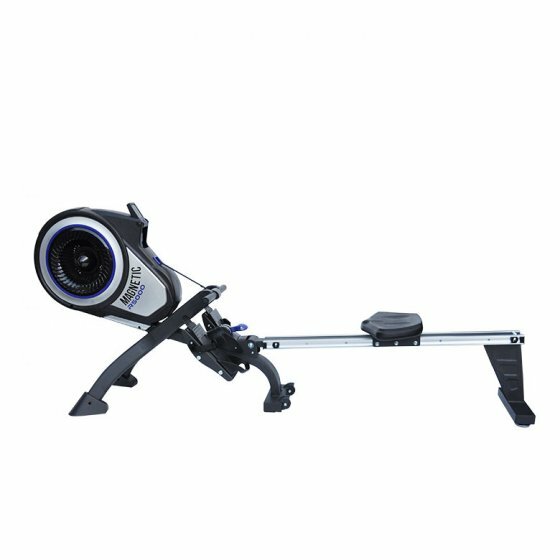 Achieve a full body workout from the convenience and comfort of your own home when hiring a rowing machine from Elite Fitness, our range includes the Magnetic 5000 Hire Rower or a similar alternative which is built to withstand an intense cardio session. The rower is available for hire at $30 per week on a 1-month minimum contract. Apply to hire today. For professional advice, visit us at 11 stores nationwide, call 0800 243 834 or click on Apply to Hire to complete an application form online. Check out our Hire FAQ for more information. We offer month-to-month payment terms and quick in-home delivery service. Easy! The picture is an indication only, the product will meet the above requirements or better. *Conditions apply. Credit card required. Please contact your local store for hire delivery details.